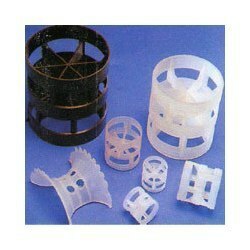 We offer to our clients Plastic Tower Packings, which feature lower weights & high resistance power to impact strains. Besides this, they are also resistant to most acids, alkalies & other chemicals. 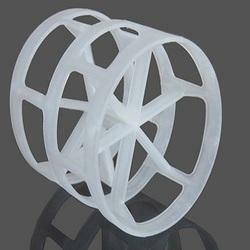 Plastic rings are also extensively used as an effective medium for fume removal in air pollution control process. Flowtech Valves & Fittings Co.